Good jewelry warrants good care. Cleaning jewelry is easy to do at home - as long as you know the right cleaners to use on each treasured piece. 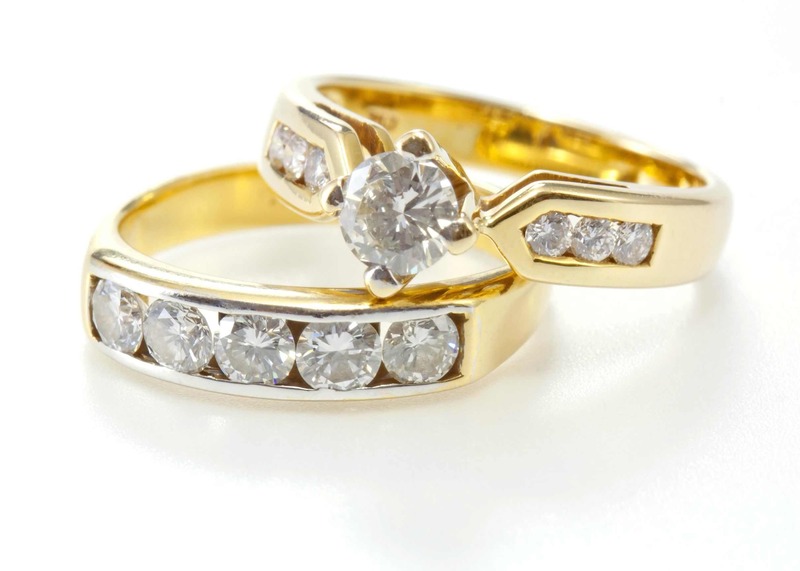 Gold, silver, diamond rings, opals, pearls, and gem stones each have special requirements for storage and cleaning. These tips for cleaning jewelry will help you keep each of these pieces clean and sparkling - safely. No baubles - not even diamond rings - should be worn all the time. All stones (including diamonds and sapphires) can chip. And gold, silver, and platinum are easily scratched. Harsh chemicals can damage both stones and metals. You should also take them off when you clean the house or garden. Household cleaners can damage fine stones and settings - and you run the risk of catching it on something. You'll also want to shed the family jewels when you bathe, swim, or soak in the hot tub (chlorine can damage stones and metals) and when you go to the beach - salt is also hard on these pieces. We often don't take these pricey pieces off for fear of losing them. To get around that concern, consider placing a simple ring holder where you normally would take off your rings. Then the rings don't go down the drain, and you always know where you put them. Your fine jewels needs an occasional cleaning to remove grunge around settings and to remove oily buildup that dulls the sheen. Ultrasonic cleaners should only be used for all-metal stones or diamonds. It can damage other stones. Ditto for ammonia. Cleaning silver jewelry: If you use silver polish, be careful not to get it on the stones. Polish with a soft all-cotton cloth as paper can scratch silver. Clean gold jewelry: Let soak in soapy water. If they get tangled or knotted, apply a drop of baby oil and unravel with needles. Cleaning diamonds: A little ammonia in water will remove any oily film. Crystals (rubies, sapphires, etc. ): Soak for just a few minutes in a warm solution of dish detergent and water and scrub gently with a toothbrush. Polish dry with a clean cotton cloth. Opaque stones (turquoise, malachite, onyx, lapis, etc. ): These are rocks, not crystals, so they are absorbent. Do not soak or expose them to ammonia or any other chemicals. Just polish them with a soft dry cloth. Opals: Clean these fragile stones with soapy water and quickly wipe dry. Do not clean in an ultrasonic cleaner and do not expose to ammonia. Pearls: Do not soak: Wipe clean with a moist cloth. Pearls get better and more lustrous with exposure to the skin's natural oils. Do not wear these absorbent baubles in the shower or while cooking. Restring once a year. Emeralds: Jewelry cleaning on these soft stones requires nothing more than a lint-free cotton cloth. Resist the urge to toss your jewelry into the bottom of a jewelry box. Not only do chains get tangled, but the gems can be damaged. Diamonds and sapphires can scratch metals and other gems. Store jewelry individually in soft fabric bags in a cool, dark place. Light causes silver to tarnish, so store silver rings, bracelets, and earrings individually in tarnish-preventing bags. Store gold jewelry in chamois to protect its luster. Store bead necklaces flat because the silk string will stretch over time. Do not store pearls in plastic bags; chamois is best. Store opals in a cool, dark place; they will dry out if exposed to light.